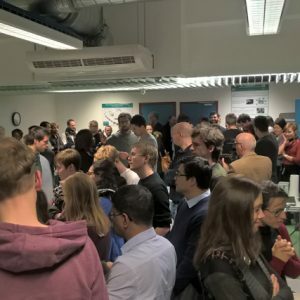 A refurbished and upgraded High-Throughput Crystallography (HTX) platform has been launched on the European Photon and Neutron Science (EPN) Campus in Grenoble. The platform offers robotics for crystallisation of both soluble and membrane proteins and automated crystal harvesting thus promoting efficient structure determination by X-ray crystallography. The new HTX platform is a joint effort between EMBL Grenoble and the Institut de Biologie Structurale (IBS). 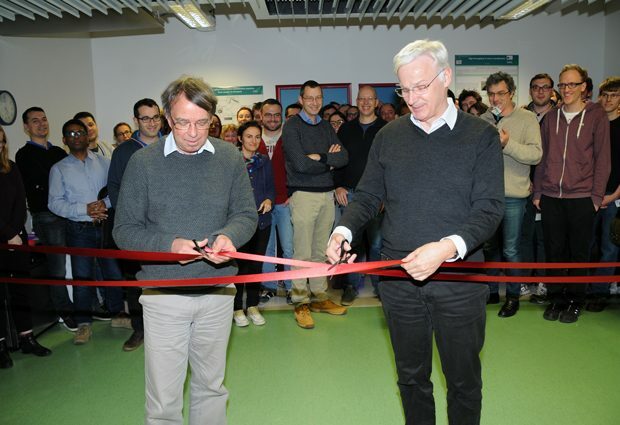 The HTX platform was inaugurated on the 1 December by Stephen Cusack, Head of EMBL Grenoble, and Winfried Weissenhorn, Director of the IBS and EMBL alumnus. Under the supervision of EMBL Group Leader Josan Marquez, the platform brings together service facilities from the two institutions: the EMBL HTX platform – that offers services in crystallisation of water-soluble proteins and automated crystal harvesting – and the IBS platform that is specialised in crystallisation of membrane proteins. Beyond rationalising the services offered by the two institutions, this merger also opens the door to new technological developments and applications. The EMBL-developed automatic crystal harvester – CrystalDirect – routinely and rapidly fishes out and freezes crystals of water-soluble proteins. Handling membrane proteins the same way is a totally new and different challenge, partly because these proteins are more difficult to handle, for which the robot will need to be adapted. 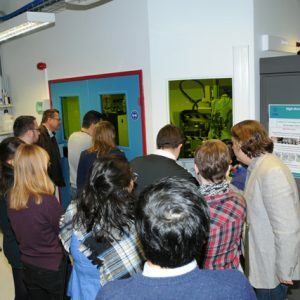 The new HTX platform will also offer access to high throughput ligand screening pipelines thanks to the seamless interface that the CrystalDirect technology allows with the automated data collection beamlines at the ESRF. Scientists, both from pharmaceutical companies and academia, will be able to efficiently screen larger numbers of small molecules for their ability to bind to proteins, thus making the search for innovative drug candidates and chemical probes quicker and easier. Researchers in Europe can access the facility through funding from the EC-funded iNEXT project .